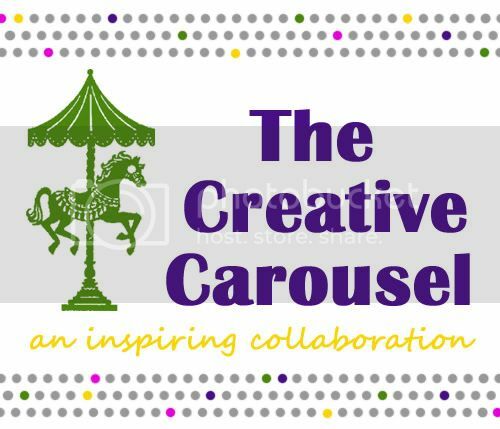 Today I am hosting a very creative guest! Shelisa from Think Magnet is here sharing a project inspired by a children's book! 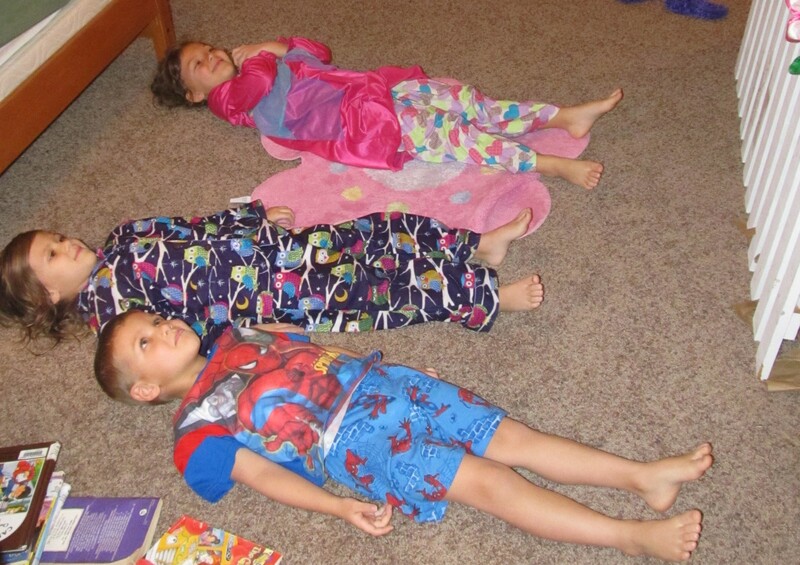 You might remember our Summer Camp series from last year where guests shared ideas centered around a children's book. 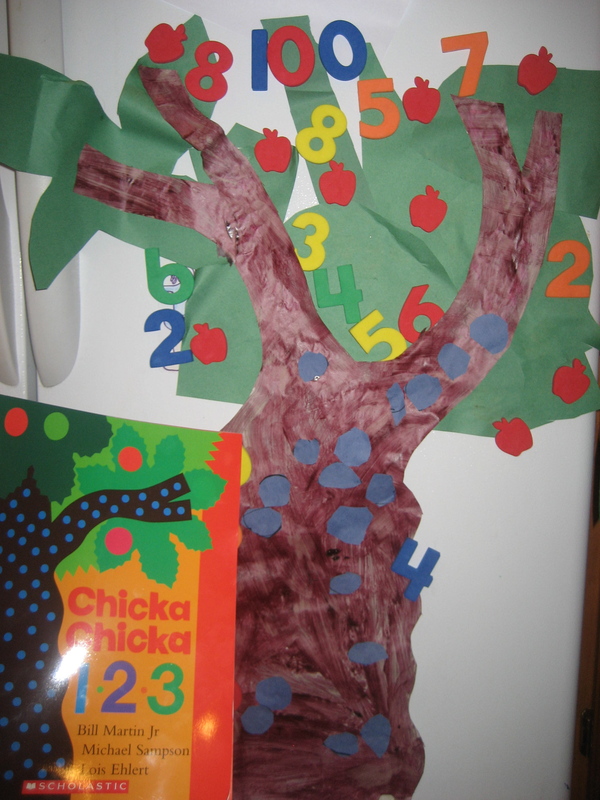 Well, Shelisa's idea today would be perfect to correlate with The Giving Tree or Chicka Chicka Boom Boom! Hello! 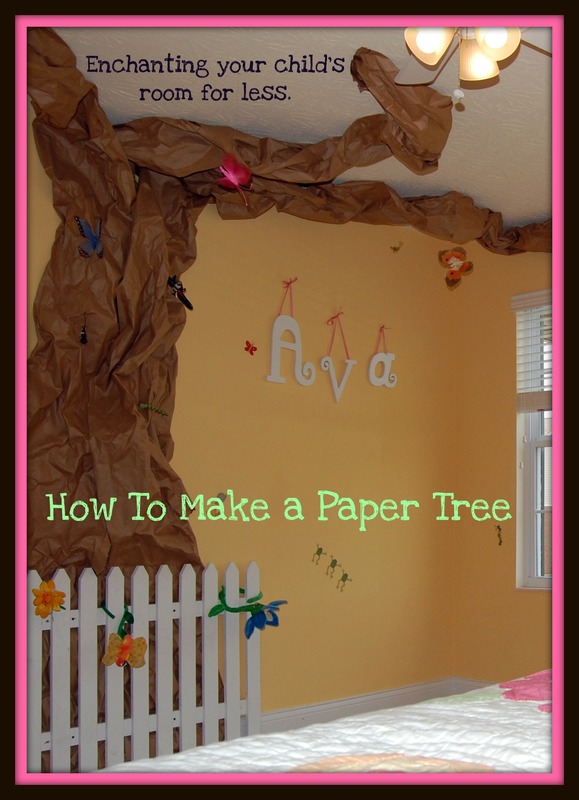 My name is Shelisa, and today I am sharing a tutorial for creating a paper tree. 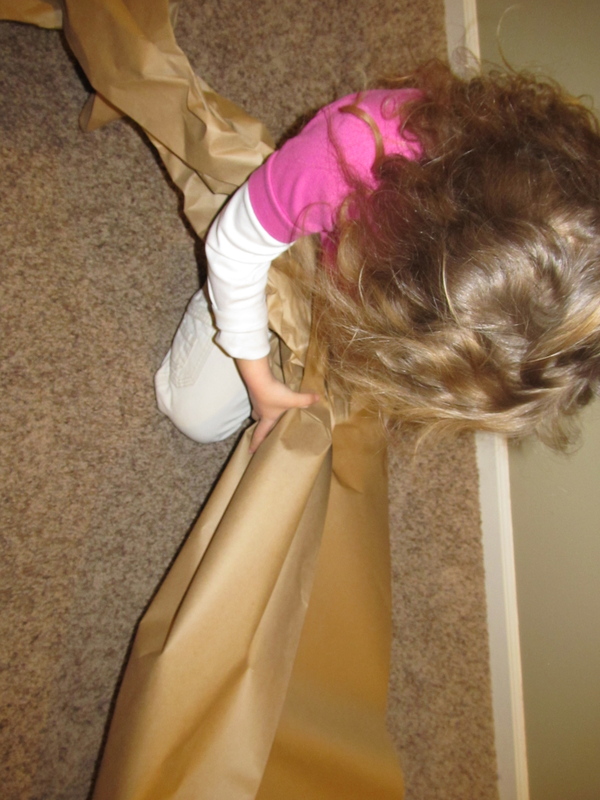 Start with 3-4 rolls (depending on how much space you have for your tree) of brown wrapping paper priced about $4 a roll. 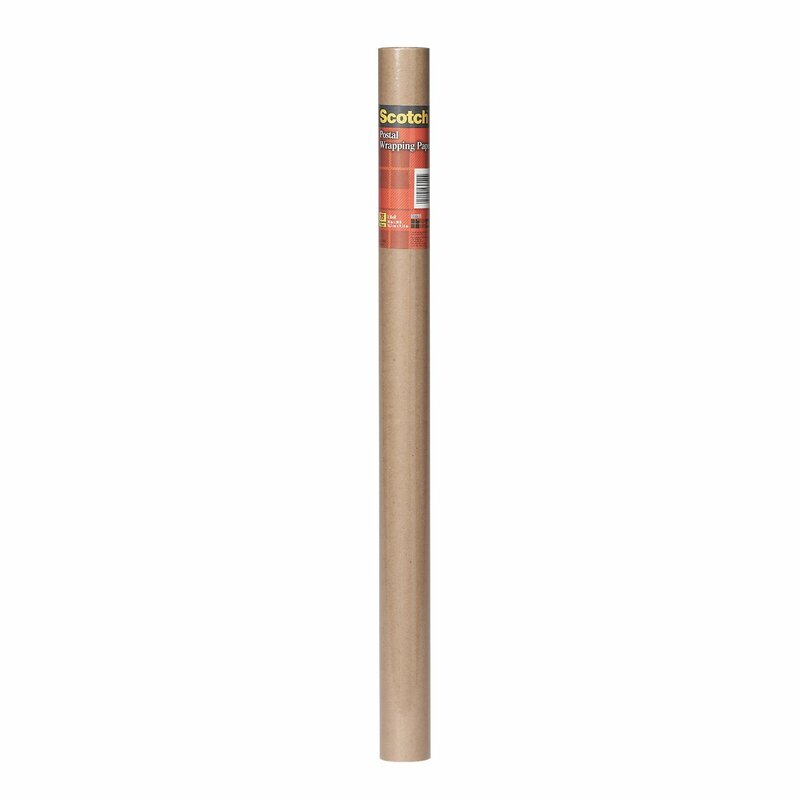 OR, save up free packing paper from boxes shipped to your house. Unwrap. Scrunch as you unroll. Scrunch and crunch. You can't mess this up! 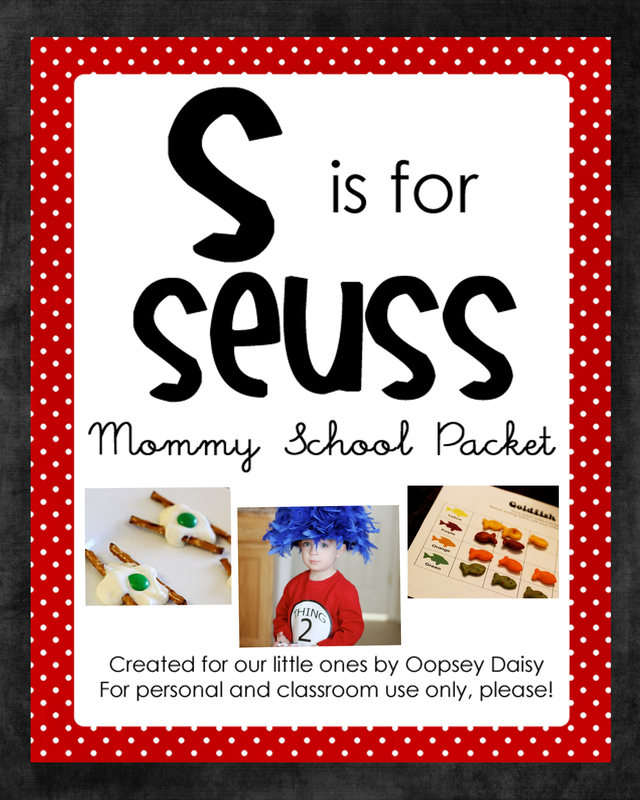 Great for kids to help and build those fine motor muscles. The scrunching and crunching will take over the room. A scrunchy, crunchy serpent. This is the fun part. The STAPLE GUN! Protect those pretty eyes, people. 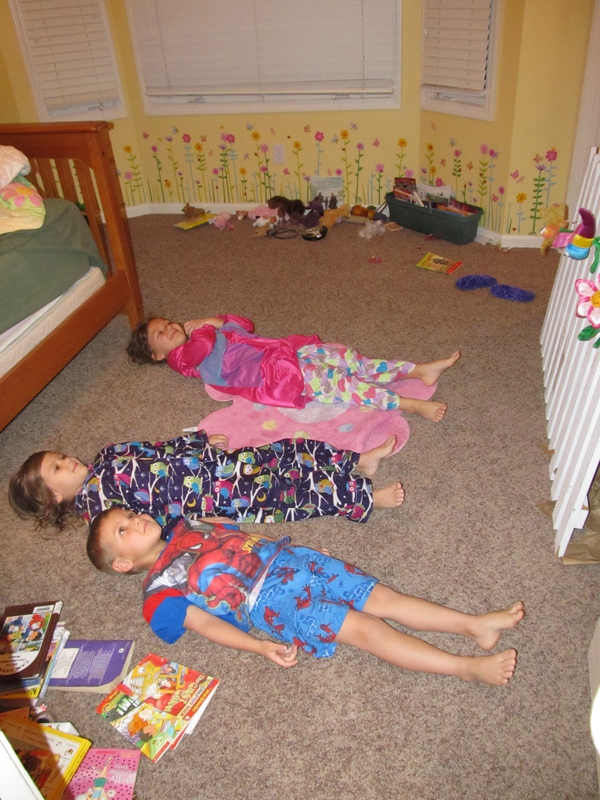 Because little ones love to lay underneath it! Embellish by hanging butterflies dangling on fishing line, tuck a few birds inside, leaves or apples, and hot glue some bugs on it. My handy husband built the wooden fence we secured at the bottom of the tree. Great to stick flowers in! 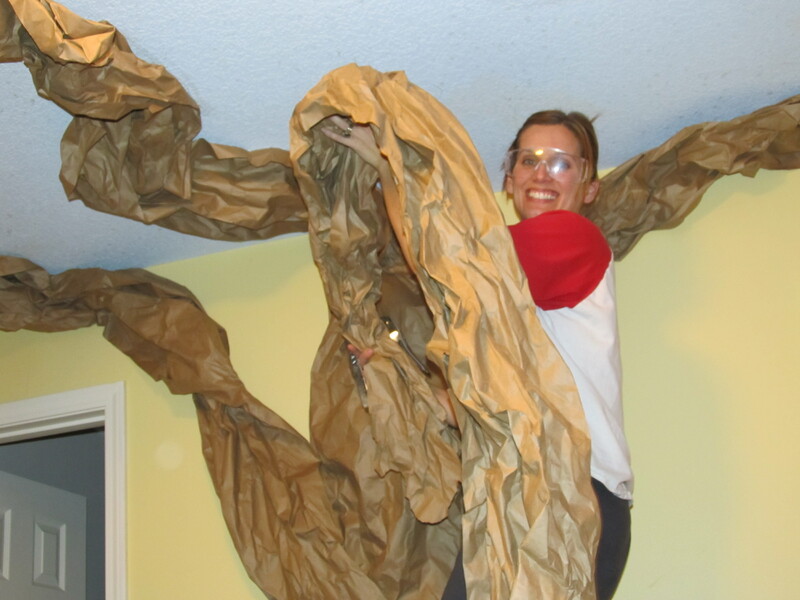 Without a fence, just widen,shape, and merge the paper into the trunk to the bottom of the wall, stapling as you go. 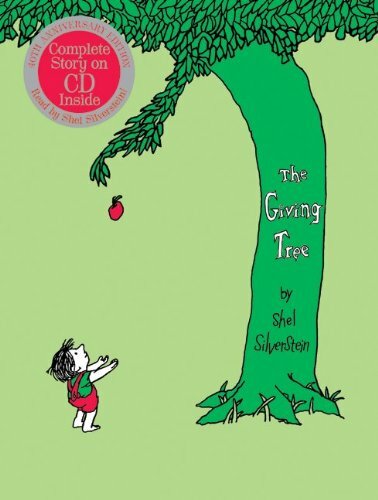 Don't forget to read The Giving Tree under your child's new bedroom or playroom tree! You can call me tree crazy. 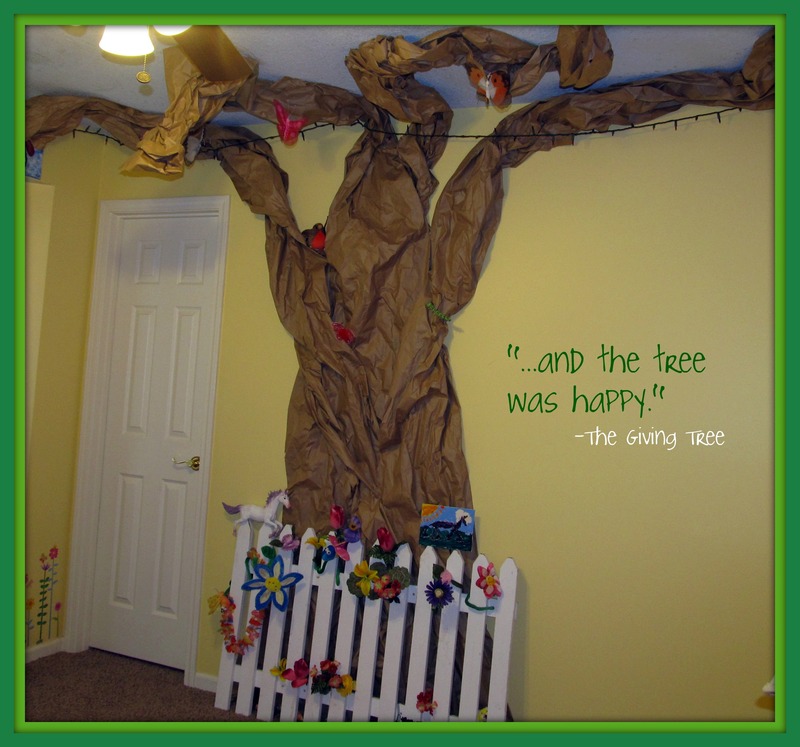 The paper tree was fitting for my oldest daughter's garden room. 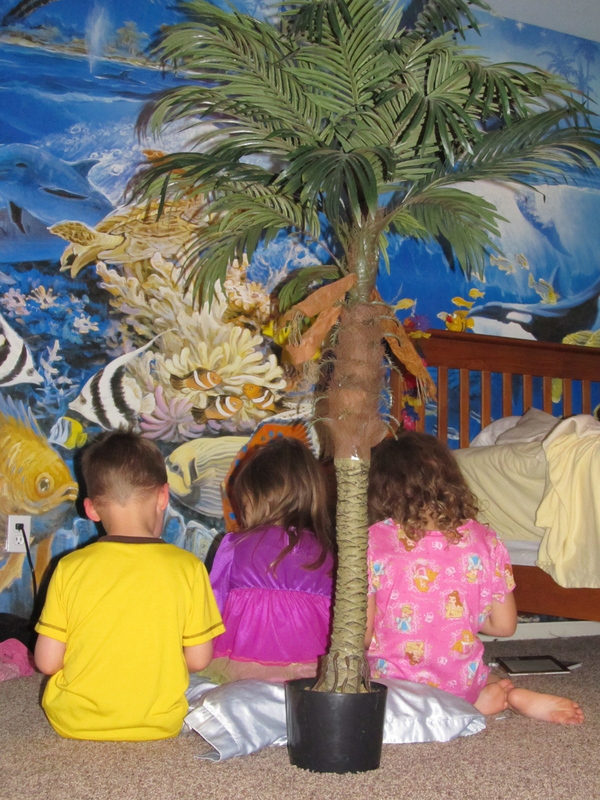 But I choose a palm tree for my middle daughter's beach room. While I was thinking about how to make a paper palm tree, I found this one on clearance and couldn't pass it up. They love reading under a palm tree at the beach. 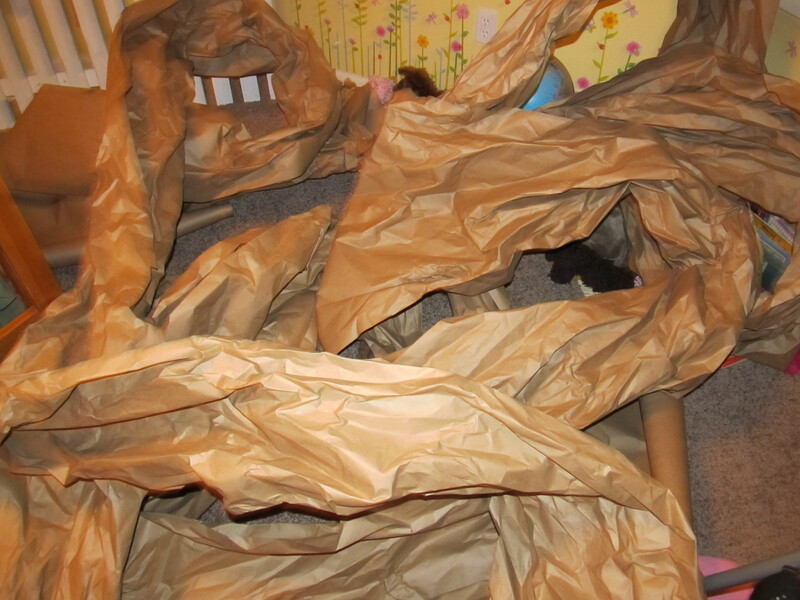 I want to add a special tree in to his "Adventure Room" (maps, travel, binoculars, sleeping bag bedspread)...but I'm not sure what tree grows in an Adventure Room. Maybe you can share a tree idea with me? 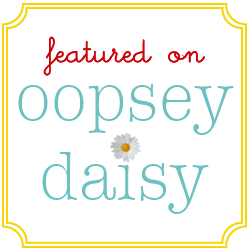 Bio: Think Magnet was officially published January 12, 2012, but incubated in my head since about 2006 in my most chaotic years of managing 3 children under the age of 3. I survived. Barely. 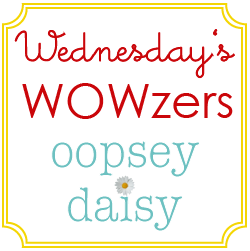 I have a Master's in Education, a Bachelor's in Elementary Education, and a Doctorate in Chaos;) My goal is to share teachable moments while keeping it real through my inadequacies, embarrassing moments, and battle with clutter. Above all, I hope to make you laugh, and know that we're all in this thing together. 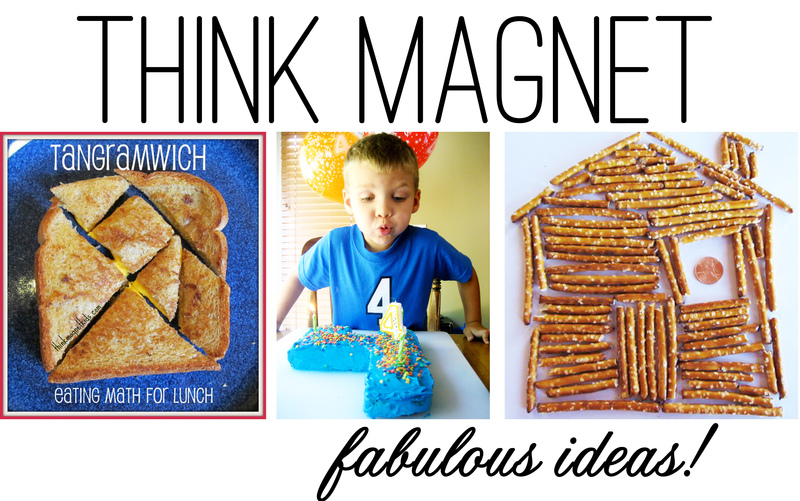 You'll find Think Magnet in a corner of the blogosphere where there's an open fridge policy, but the floors may be crunchy. Welcome. Make yourself at home.